All Saints Day, Nov. 1. text and photos by Kerstin Sabene. I returned to La Antigua Guatemala last October because I so enjoy living among the ancient ruins and architecture that give this city its stunning colonial atmosphere. 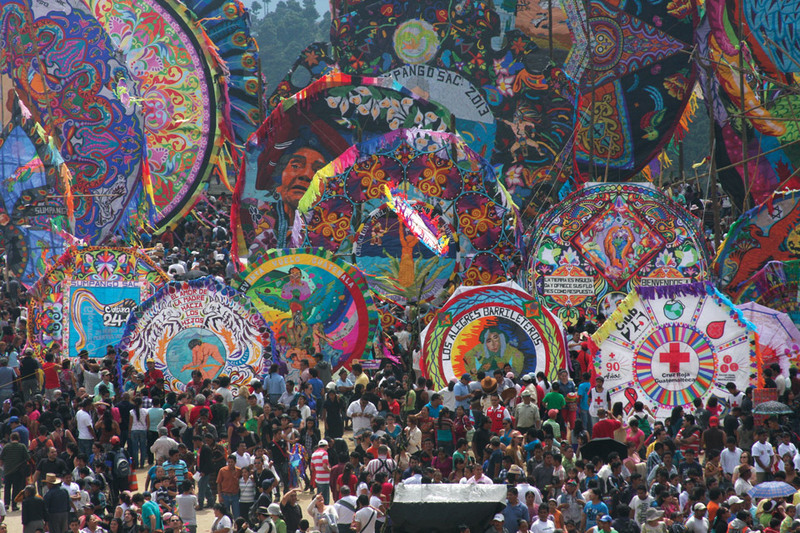 I especially love the Guatemalan people and their many sacred traditions and was excited to experience for the first time the colorful celebration of gigantic kites —barriletes gigantes—on All Saints Day, Nov. 1. I was traveling with a small but eclectic group of visitors by mini-van to Sumpango, a Mayan village less than 10 miles north of Antigua. The day was magical from beginning to end. “Sumpango means ‘Place of the Skulls,’ explained our tour guide, Manuel, as our bus navigated rugged Guatemalan terrain. 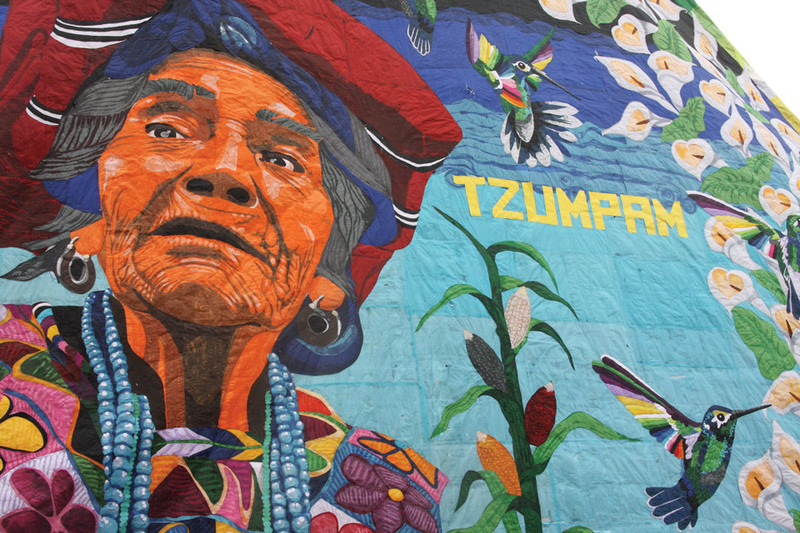 Thousands of people from all over the country as well as foreigners descend on Sumpango to witness these magnificent Mayan masterpieces that community groups from all walks of life have been working on tirelessly for months. 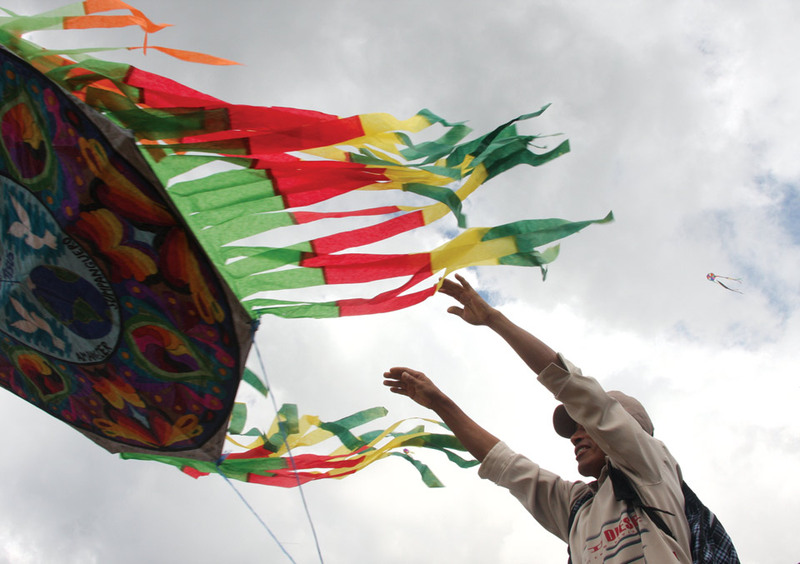 One of our companions, a woman from California, had traveled to Guatemala specifically for this event because it had been a life-long dream to view the resplendent kites. 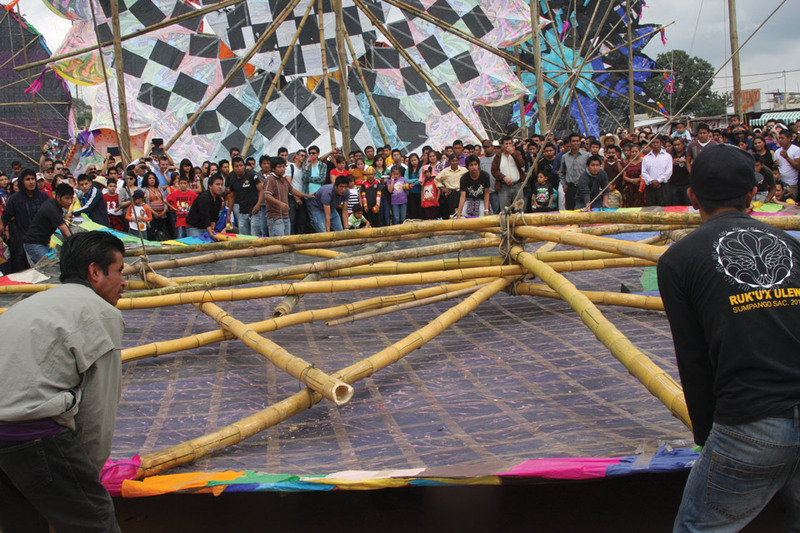 Many of the kites on display in Sumpango can be as large as 20 meters in diameter and are constructed by barilleteros, professional kite architects and builders. All of the materials are natural, including the glue, which is made of yucca flour mixed with lemon peel and water. While woven stalks of castilla—a plant similar to wheat —form the skeletons of smaller kites, frames for the larger kites are made from bamboo, and then tied with hemp and wire to form a polygonal shape in a process called lunada del barrilete. The larger kites, which are not flown, are hoisted up by rope, sometimes requiring over a dozen men. After an easy, 15-minute hike uphill past the Sumpango cemetery, we arrived at the periphery of a vast soccer field where, towering in the distance, the kites stood on display in all of their magnificence. It literally took my breath away! From this vantage point, it seemed as though the kites were giant paintings when in fact, they were made purely of tissue paper. Barilleteros, with the assistance of many different groups of people, work for months cutting and meticulously pasting colored tissue paper to create these brilliant works of art. 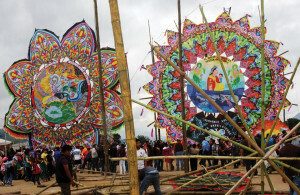 I was especially struck by some of the elaborate images and messages that the kites portrayed. Manuel explained that because of advances in technology, some of the artists use computers to more easily create intricate images that can then be transferred to the tissue paper. The kites now send important political and social messages addressing issues such as protecting the environment and women’s rights. 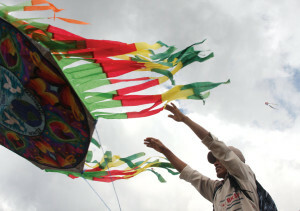 “One kite may take as many as 20,000 sheets of tissue paper to decorate and can cost upwards of $5,000,” Manuel added. Groups that create smaller kites attempt to fly them later in the afternoon. The kites that stay up the longest and travel the farthest are declared the winners. The Maya believe that on All Saints Day, souls of the departed come to the festival and are freed. 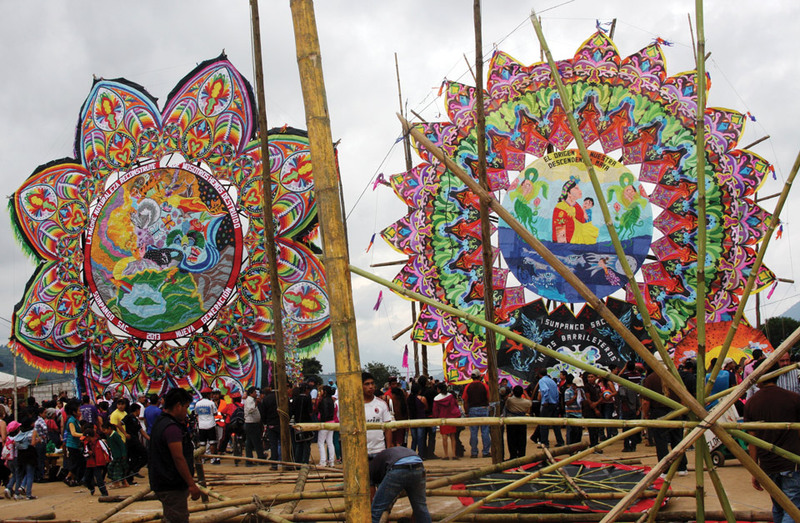 Many believe that the kites serve as a conduit to the spirits who wish to visit Earth on this day, and that they are assisting the souls on their journey to heaven. “The tradition of barriletes began in Santiago, Sacatepequez 115 years ago,” said Ignacio Ochoa, director of the Nahual Foundation, a think tank by and for indigenous people of the Americas. 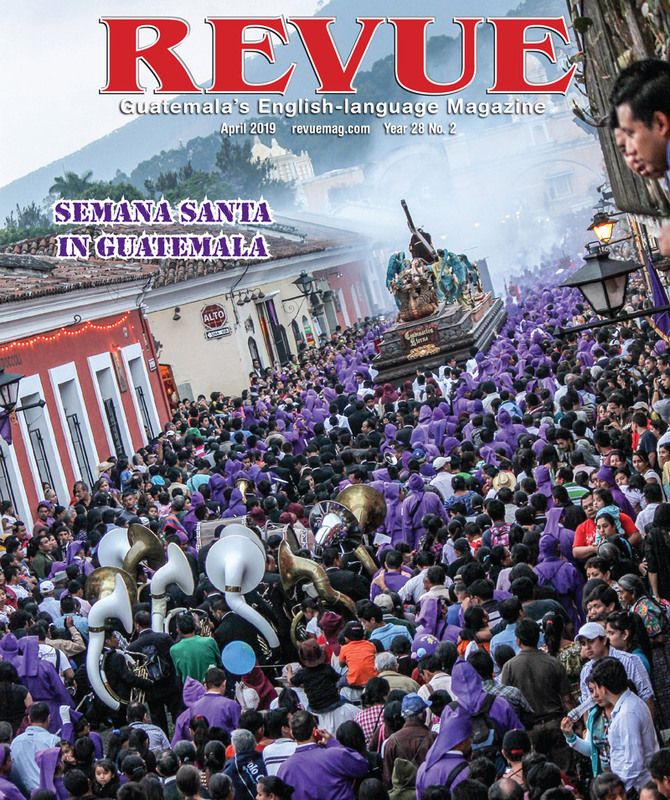 “Other towns such as Sumpango, Santa Maria Cauque and Santo Domingo Xenacoj eventually followed suit and have picked up the ritual in just the last 30 years,” he added. Prizes are also awarded for the larger kites. According to Ochoa, who has been a judge three times at this festival, the grand prize this year will be 45,000 quetzales (approximately $5,800 USD). Prizes are based on size, innovative design and meaning of the kite. 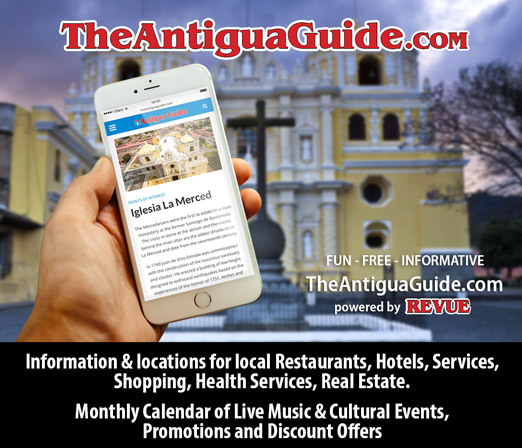 Antigua Tours is offering a day trip to Sumpango on Nov. 1, departing Antigua at 9 a.m. For more info, go to www.antiguatours.net or call (502) 7832-2046. Fantastic article and simply brilliant photos. This amazing event is difficult to capture and this article and these photos nail it.